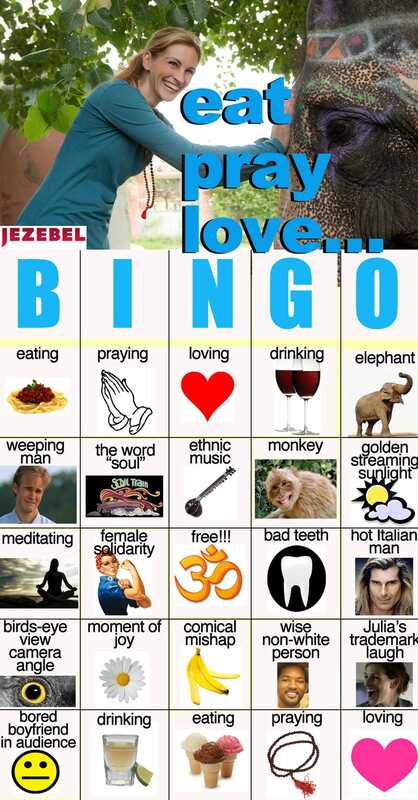 Play Eat, Pray, Love Bingo! Going to see the amazing true story of one woman who took an extended vacation? Eat, Pray, Love? Because everything's an excuse for unhealthy competition, print out our handy-dandy EPL Bingo scorecard and be the first to shout, "Namaste!"